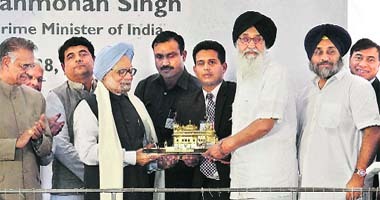 Prime Minister Manmohan Singh today said India needs to rationalise the prices of petroleum products while insulating the common man from its effects. "We need to rationalise prices and at the same time ensure that the poor and needy are shielded from the effects of such a rationalisation," he said. A Delhi court today sentenced former BJP President Bangaru Laxman to four years of imprisonment and slapped a fine of Rs 1 lakh on him for taking a bribe of Rs 1 lakh from fake arms dealers 11 years ago. �Balancing the twin interest of society and that of the convict, I am of the opinion that interest of justice would be met if the convict is sentenced to undergo rigorous imprisonment for a term of four years. The Congress-led UPA combine tonight appointed two new Governors, shifted one from Uttarakhand to Rajasthan and gave a second term to serving Governors of Andhra Pradesh and Maharashtra. President Pratibha Devisingh Patil issued a notification here tonight. One of the new appointees is BV Wanchoo, former head of the Special Protection Group (SPG) that guards the Prime Minister. Marriage is life's serious business. In J&K, where fledgling peace is delicately perched on the charred bleakness of two-decade-old terrorist violence, marital bonding among those displaced has come with a government-sponsored package. Raju Bhat is a government schoolteacher at Mirbazar, about 8 km from Vessu, Anantnag. 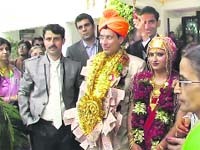 Vikas Razdan and Shivani Razdan on the day of their wedding. The recent hailstorms has left the apple crop in Himachal Pradesh battered. The state horticulture department today put the loss due to the �freak� weather at Rs 154 crore. The assessment has been till April 15. 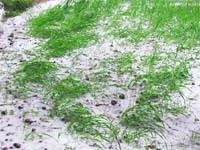 The farmers claim that more than 80 per cent of the crop has been destroyed or damaged in areas, which reported severe hailstorms. A sale of Indian art and antiques has achieved record prices at a London auction with one of the items, a 17th century Mughal inkpot, fetching more than 14 times its estimated value. The highlight of the sale at Christie�s auctioneers in London was an early 17th century gem-set jade hilted dagger from central or Northern India. Its estimated value was �100,000-�150,000, but it was bought by a Middle East collector for �241,250 (over Rs 2 crore).